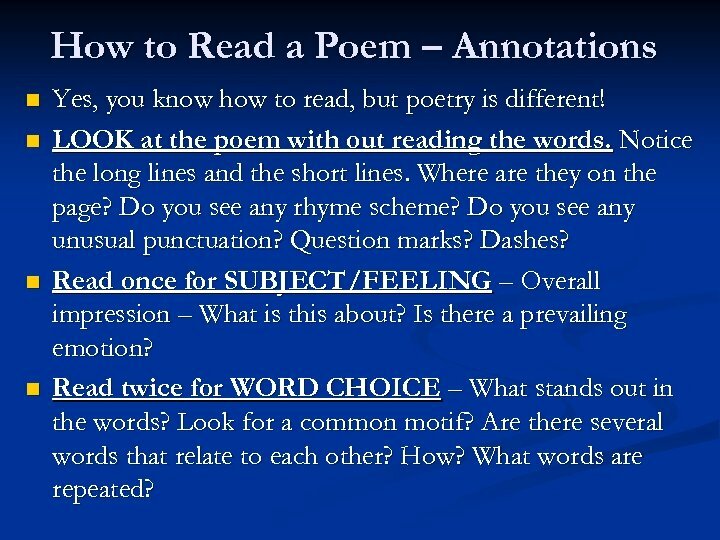 How to Read a Poem – Annotations n n Yes, you know how to read, but poetry is different! 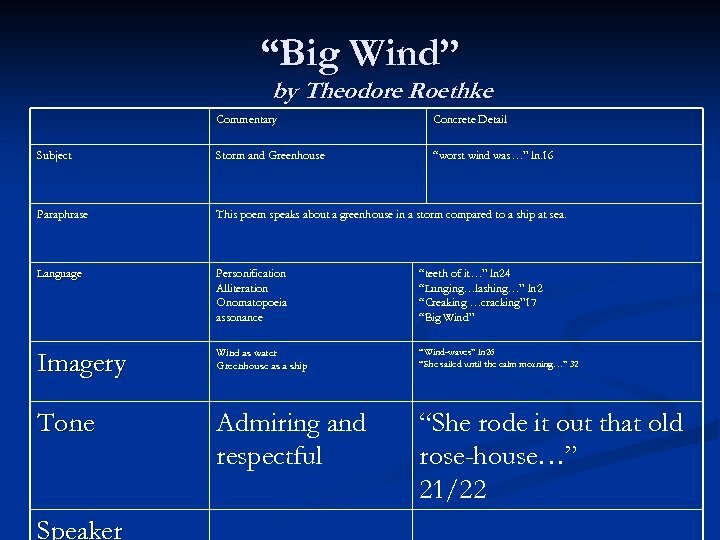 LOOK at the poem with out reading the words. Notice the long lines and the short lines. Where are they on the page? Do you see any rhyme scheme? Do you see any unusual punctuation? Question marks? Dashes? 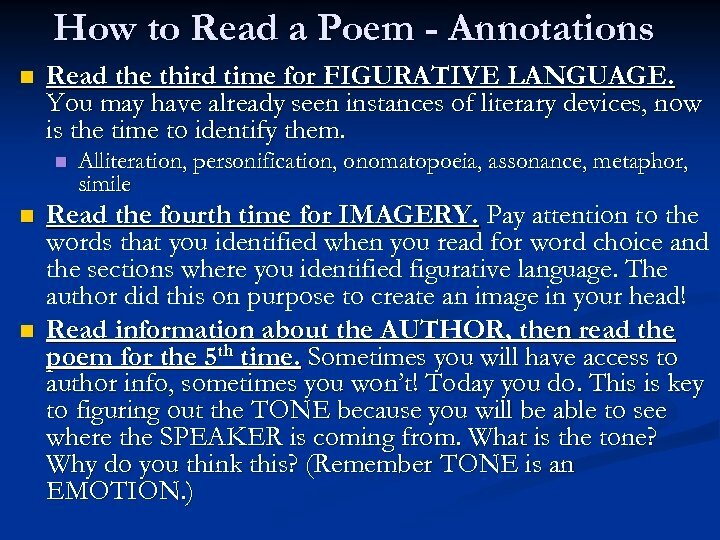 Read once for SUBJECT/FEELING – Overall impression – What is this about? Is there a prevailing emotion? Read twice for WORD CHOICE – What stands out in the words? Look for a common motif? Are there several words that relate to each other? How? What words are repeated? 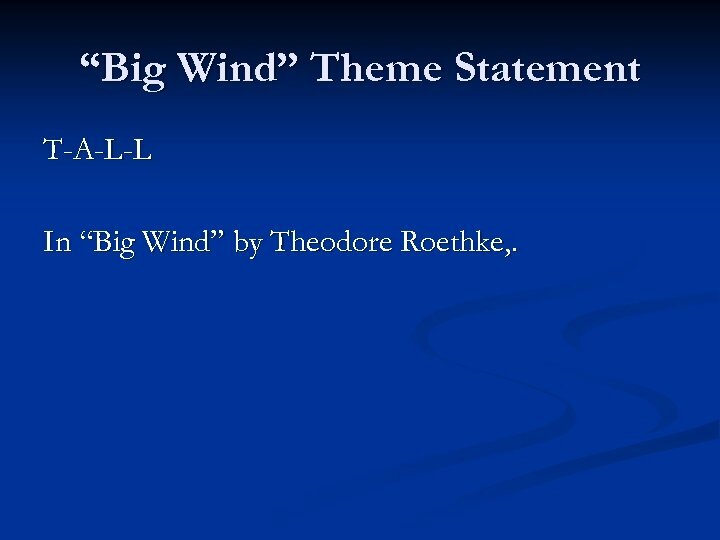 “Big Wind” Theme Statement T-A-L-L In “Big Wind” by Theodore Roethke, .